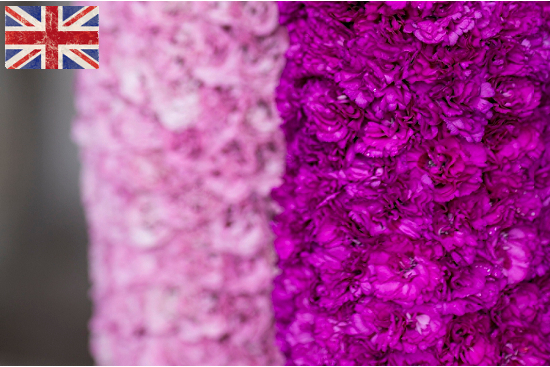 On Day Three of British Flowers Week: Discover all about British Garden Pinks, the focus flower for British Flowers Week of Simon Lycett. Modern garden pinks belong to the dianthus family of plants, which are native to the mountains of Europe and Asia. The Greek botanist Theophastus (371-287 BC) gave the dianthus its name: dios meaning divine and anthus meaning flower. 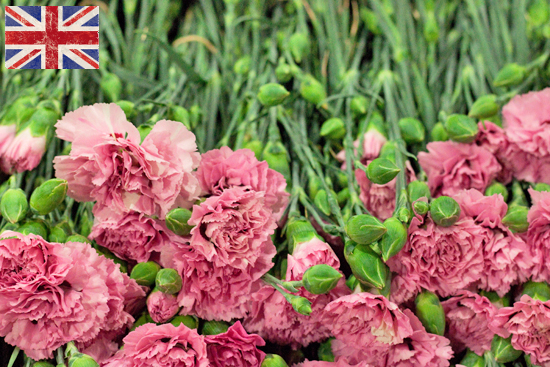 Pinks have been cultivated for hundreds of years, and sold at markets since before the time of Elizabeth I. Pinks were known as feathered gillyflowers in the 16th century, and are referenced by Shakespeare in a Winter's Tale. Fascinatingly, it seems that pink meaning flower predates pink meaning the colour! 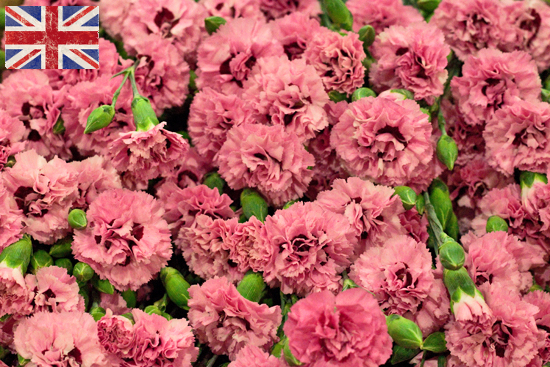 Whilst pinks and carnations are closely related, pinks are a more subtle form. Their foliage is more finely divided, their stems shorter and they bear smaller single, semi-double or double flowers in shades of pink, white or purple. Pinks have a delicious spicy, clove-like fragrance so evocative of the traditional cottage garden. Dianthus have struggled with a bit of an image crisis in recent years, but event florist Simon Lycett is a devotee: "I am a big fan of carnations anyway, and by the time the Chelsea Flower Show comes around in mid-May, the pinks are in their prime." "There are so many ways to use pinks," enthuses Simon. "They are such architectural flowers, you can do some great sculptural work with them. 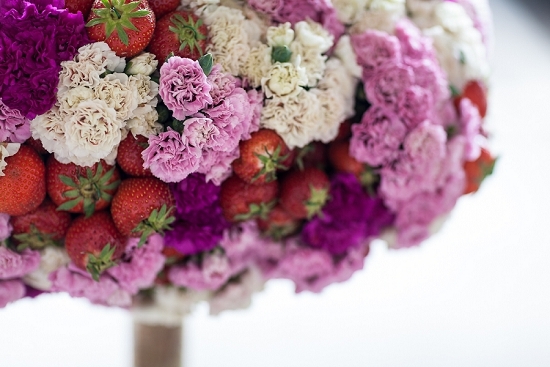 Pinks come in soft summer shades, a gentle colour palette and they smell beautiful." "We love to use them en masse in big arrangements, where they have an amazing textural effect," Simon explains. "Pinks have relatively short stems, so we often wire them in groups after giving them a good drink for a couple of days." Weather permitting, the first garden pinks have arrived in the Flower Market by early May and stay in season until the end of June. They are relatively inexpensive flowers, and you can buy them by the box, by colour, dry packed. Make sure that at least the first petals on the buds are opening when you buy. Garden pinks are one of the easiest cut flowers to keep in tip-top condition. Simply trim the stems, put them in to water with diluted flower food for a long drink, and they will last at least seven days. "If you're using pinks wired or in buttonholes, give them a good drink for two days first," advises Simon Lycett. "They take moisture through the petals too, so misting is a good idea." The peak season for British garden pinks is the months of May and June, depending on the season, of course. During this period, the main deliveries come fresh into the Flower Market from the growers for Monday and Thursday morning trading.